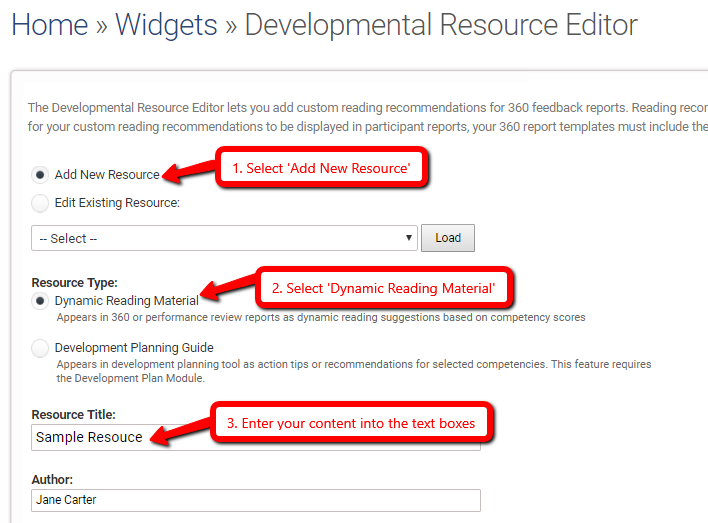 The Developmental Resource Editor lets you input your own resources to create your own dynamic reading recommendations for 360 feedback reports. The reading recommendations that you add are presented to Targets as part of their final report and are shown dynamically based on review scores. From the drop-down menu, select Project >> Widgets. Click the Developmental Resource Editor. Choose “Dynamic Reading Material” under Resource Type. Input Resource Title, Author, URL (Optional), Length (Optional), Abstract Summary, Access Info or Usage Instructions (Optional). Choose the competencies to associate with the developmental resource. Click the "Settings" option on the right side of the screen for the Recommended Developmental Reading component. Select the “Content Source” to your desired library/libraries. When you click “Close” your settings will be saved. 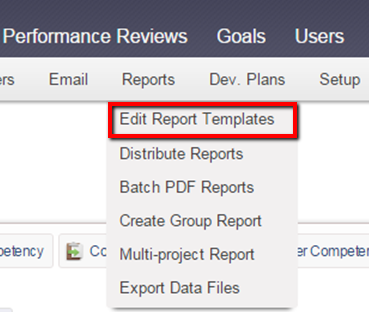 Expand the Targets & Auditors section. Choose “ON” next to the Dynamic Reading Suggestions on Dashboard Option. Then, select the “Content Source” to your desired library/libraries. Click “Save Settings” at the bottom of the page.